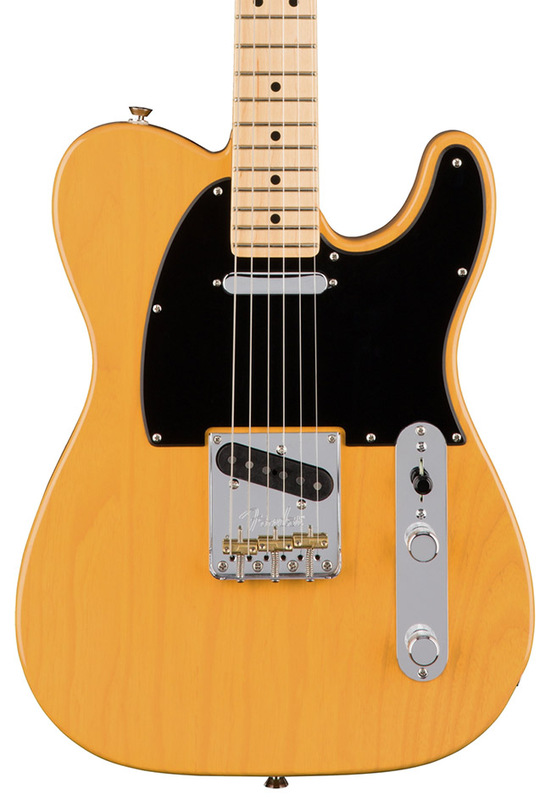 Ever since the first Telecaster rolled on the line in 1951, the musical instrument industry and guitar–playing public have looked to Fender. 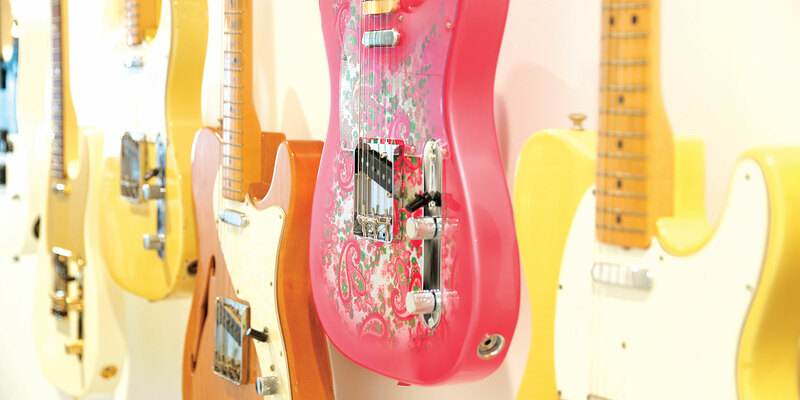 as a bellwether of electric guitar design and manufacturing. 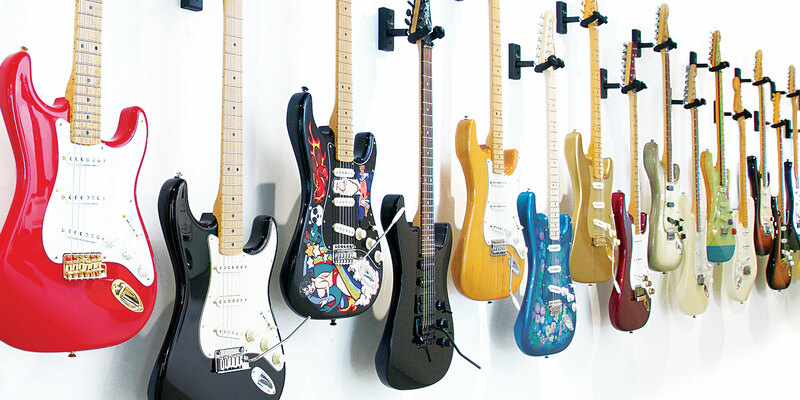 While technology, trends, and musical tastes have evolved substantially, Fender remains an absolute default brand in the collective consciousness, like Coca Cola or Apple. Current Fender CEO, Andy Mooney, understands the importance of branding and marketing in a competitive industry like this one more than anyone. In his 20 years at Nike, he worked to make the brand synonymous with growing the basketball shoe market. As the chairman of Disney Consumer Products, Mooney was instrumental in building the Disney Princess franchise, which has become a cornerstone of the company's growth. 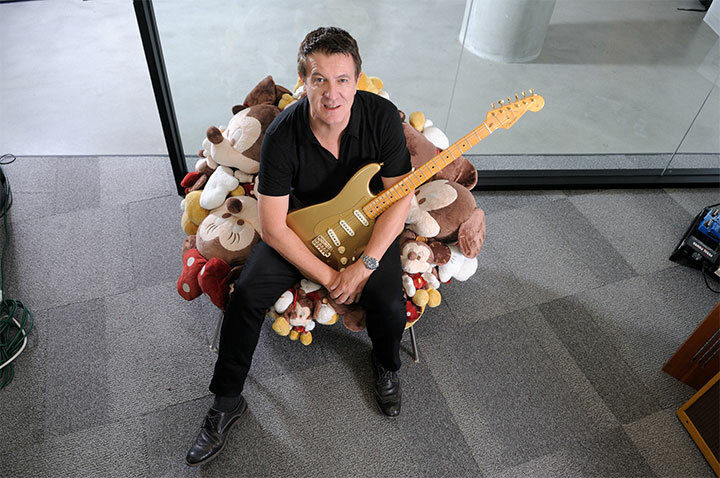 Now, two years into his tenure with Fender, Mooney is faced with a new set of challenges all centered on a brand and industry he's loved his whole life. We recently caught up with Mr. Mooney to talk about new CITES regulations and other issues facing the guitar industry. He also gave us the inside view of Fender's plans to innovate and evolve while continuing to produce the very best instruments for their customers all over the world. Who do you see as the next generation of guitar players? When I was growing up, guitar was really a virtuoso instrument. My heros were Ritchie Blackmore and Jimi Hendrix, but, to be honest, it was really difficult to aspire to play at that level. A lot of those great guitarists and great “classic rock” bands were highly improvisational — virtuoso musicians who were very hard to mimic. I always go back to Ginger Baker’s comment about Cream secretly being a jazz band, though they never told Eric [Clapton] that. Then along came punk. Punk changed everything because, after punk, anybody could get up on stage and play anything. A pivotal point in the evolution and use of the guitar was the birth of punk. Ever since then, people have been looking at guitar as a compositional and foundational element of writing and performing as they always have, but I think it’s less of an untouchable, virtuoso instrument now. You guys just phased out the American Standard and reintroduced it as the American Professional Series. Were some of the things you just mentioned — the changing climate of what guitar has been relegated to these days — considerations or motivating factors behind that move? No, not at all. The American Elite was an evolution of the American Deluxe. The American Professional was an evolution of the Standard. We have evolved. The first American Standard — I have it sitting in my office — was from 1986. I think we’ve evolved that guitar like five or six times. We’ve always kept the name, but the guitar has actually changed quite significantly from when it first came out. We’ve always tried to improve it in relatively subtle ways. Significant ways, but relatively subtle ways. We had a big debate internally about whether or not we should change the name. I was a big proponent of changing it because I felt, as we did with the American Elite, that it was really important to signal to the consumer that this was a new guitar with new features — an evolution of something, rather than just this year’s American Professional. We also wanted to make a distinction between the old and new, since there is such a healthy used instrument market. I think it’s important to say that the American Standard is an old guitar. And if you like older guitars, that’s what you should buy. Or, if you want a new guitar, it’s the American Professional. The subtlety of the changes from model to model are interesting to me. It’s like when you’re growing a beard, and you look in the mirror and don’t really notice a difference until you see a picture of yourself from two weeks ago. I feel like it’s the same way with the Standard. When I picked up the new American Professional, I could immediately tell the difference between the two, but that’s because I hadn’t really sat down with a Standard in awhile. I could tell immediately that there was a different neck shape, that it felt a little lighter. I feel like the consumers are picking up on that as well, but maybe that’s also because the branding changes you made really helped drive that home for them. I’m glad you say that because I think somebody asked me one time what really changed in the Standard, and I said, “Well, nothing much… apart from the neck, the frets, the pickups, and the electronics bar. So, nothing other than the feel and the sound.” [Laughs] It looked like nothing had changed, but in fact, everything had changed. I think our industry can be stimulated, which we witnessed for the first few months after we introduced the American Elite. The industry in the US surged anywhere between eight and ten percent. Nobody had seen that type of growth in the industry for years." Another big thing that’s changed for us, which we’re pretty proud and excited about, is marketing. 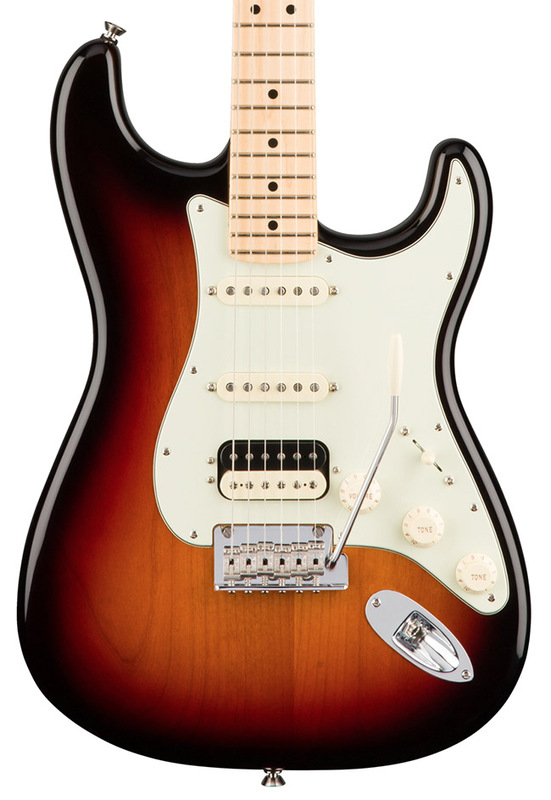 When I was outside of the industry trying to follow the evolution of the guitars Fender was making, a new product launch was like a tree falling in the forest. Nobody knew because the industry would be talking solely to the trade, not to the consumer. So with everything that we’ve launched since the Hendrix Signature guitar two years ago, we’ve put all of the incremental investment and an awful lot of energy into talking directly to the consumer through digital media marketing, social media, and more robust storytelling. The American Elite is here. The American Professional is here. We want to give people a reason to cross the threshold of brick and mortar stores and to visit the website of an online retailer. I liken it to sports equipment. The ski industry, for example, is perpetually flat until someone invents parabolic skis, and then everybody has to have parabolic skis. Then it goes flat again. I think our industry can be stimulated, which we witnessed for the first few months after we introduced the American Elite. The industry in the US surged anywhere between eight and ten percent. Nobody had seen that type of growth in the industry for years. When you give people a reason to buy, they come back into the marketplace again. Innovation is definitely a big driver of demand. But you mentioned the Hendrix Strat, and I can’t tell you how many musicians I’ve interviewed who have told me that the reason they bought their first guitar was because their hero used it. Are you worried at all about the future of the guitar world, in the absence of the guitar hero? I totally agree that consumers are seriously influenced by who’s on stage playing guitar. But one of the things we found at Nike was that it’s not just about heroes, it’s about breadth, too. In other words, if you take Nike as a case study, one would argue that nobody deserves a 90% share of anything, but they have a 90% share of basketball footwear because 90% of the NBA and WNBA players play in Nikes. I knew that at Nike because I’d seen the correlation of athlete endorsement to market share over time. So when Adidas, for example, was pounding its chest because it signed Kobe Bryant when he was at his peak, I just smiled. Because, yeah, Kobe was a great player, but he was one player. Nike had 87% of the other ones, including everybody at Boise State. So when you look on the stages of Reading Festival or Coachella or South By Southwest, what you’ll find if you count all the guitars on stage is that between 80% and 90% of them are Fender. That is part of why I believe we’re gaining share. We’re committed to innovating new product, but the band and fan worship still exists. It’s just broader and more segmented than it has ever been, just like most things are in general right now. I think the correlation is really strong, and I think we’re in a good position because we have such a breadth of different artists, genders, genres, and geographies all playing Fender instruments. 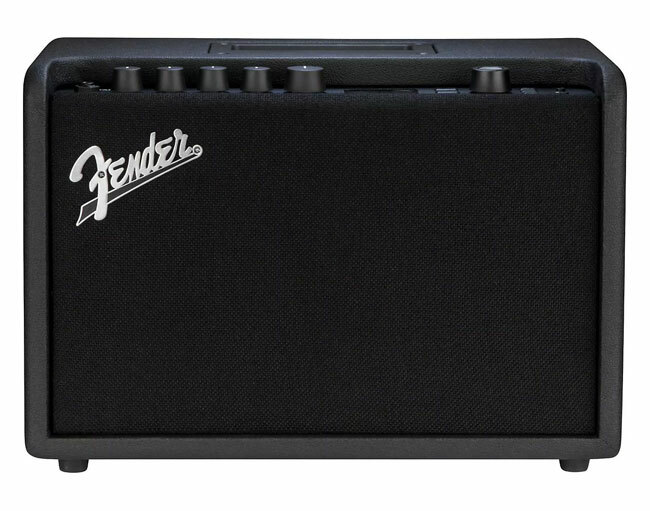 Do you feel the same way about the Fender amplifiers? 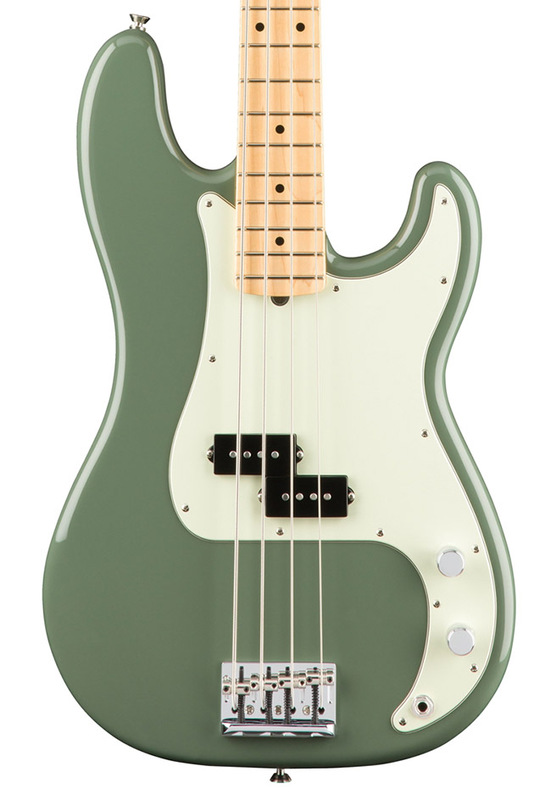 Is there anything you can tell me about the future vision of where Fender amps are going to go? Again, I think it’s important to look at what contemporary guitar players look like. When I was a teenager, my vision of a guitar player included a black Strat, four 4x12 Marshall cabinets, and two 220 watt heads. You might have one fuzzbox in front of you and a PA system completely separate from the instrument system. Amps were never mic’d up, and there were no in–ear monitors. Today everything is interconnected. Even the most nascent bands are using in–ear monitors, which is a category that we’re excited about. The quality of PA systems is such that guitarists are opting for small, high–quality tube amps, and again, they’re opting for very dependable, functional guitars, which we also provide. Then, as you guys know by what’s selling on Reverb right now, they’ve got a pedalboard in front of them that’s got 20 pedals on it. Determining their unique sounds is that signal path going through a simple tube amp to a Fender Stratocaster and the 20 pedals that are in line. We’re lucky right now that the tube amps that we’re known for are absolutely what contemporary players want. I think we innovated, really, with the launch of the Mustang’s digital amp a number of years ago. That came as a bit of a surprise, I think, to people. We’re really excited about our new Mustang GT series amps. They come with a companion app, Fender Tone™, where you’ll be able to download your own tone packages. We’re excited about that. We see that as the next generation of accessible, digital amps. That move into digital is definitely very interesting for you guys, just because your tube amps are so well–known and ubiquitous. Are you guys working with any new artists? Are you guys going to be launching any new artist models or limited editions that we can expect this year or next? Yeah, we’re constantly working with artists. We have two pretty important artist models that are coming out this summer, but you’ll have to wait a little while for more information on that. A new regulation takes effect on January 2, 2017 calling for documentation when shipping internationally. How are you guys planning on adjusting your manufacturing to contend with the new CITES regulations? We’re still absolutely committed to rosewood on our American–made guitars, and that’s about half of the guitars that we make. We are working at potentially using ebony as a fretboard material for some of the higher–end American–made guitars, but we were looking at that before the CITES changes came along. So, generally speaking, it’s business as usual, at least in terms of our commitment to rosewood for guitars made in Corona, [California]. From what I’ve been told, ebony is going to be the next one on that list. Is that a cause for concern at all for you guys? We haven’t heard that, but I guess we’ll cross that bridge when we come to it. We’re only talking about using ebony as a fretboard material for a very few select models right now, not as a wholesale alternative to rosewood. Pau ferro would probably be a preferable replacement for rosewood, as it is comparable in both looks and tone. 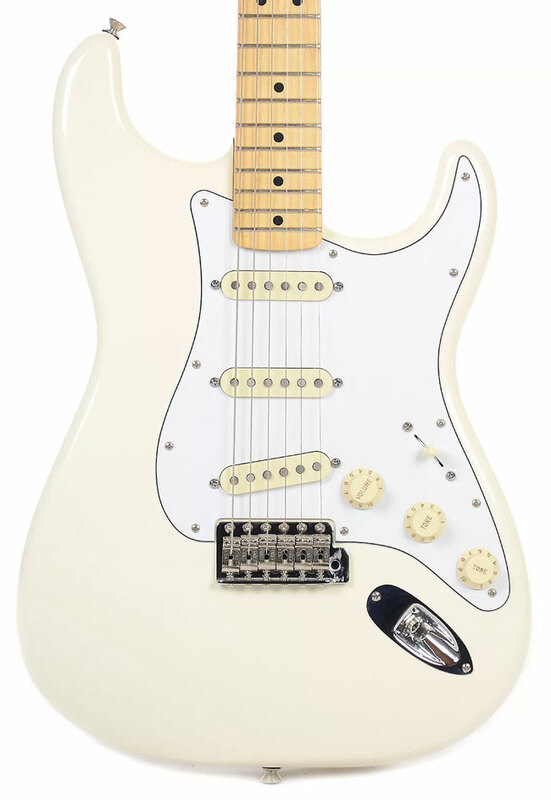 It costs more than rosewood, but my point of view on pau ferro has always been that if it’s good enough for Stevie Ray Vaughan, it’s good enough for most guys. About half of the guitars that we make in Ensenada, [Mexico] are made of rosewood. We would likely change a high percentage of those guitars into some alternate material like pau ferro. Similarly, for all of the guitars in Southeast Asia — Squier electric guitars and Fender acoustic guitars — we’re fairly aggressively exploring other options. We’re totally committed [to rosewood] in the case of Corona, but we’re actively looking for other options everywhere else. Is Fender at all involved in fighting the CITES legislation? 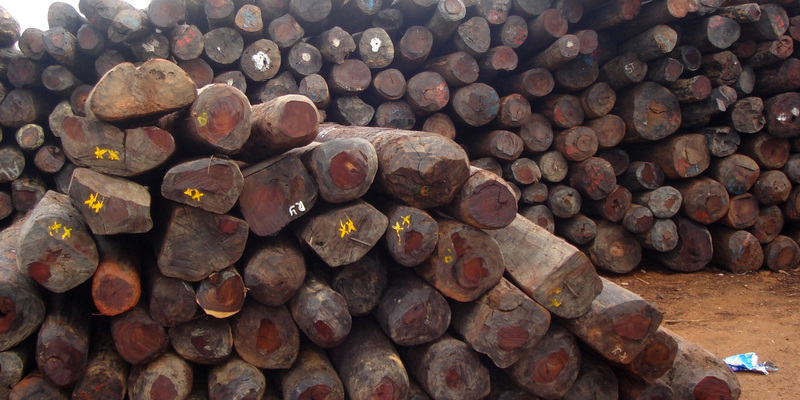 We’re not challenging CITES on the grounds of whether rosewood is an endangered species. I don’t see any reason to do that. They’re the experts in this field, so we want to honor any observations they have and any paths they want to walk in terms of preserving the species. But the implementation of these regulations has been fraught with challenges. Ninety days was a grossly insufficient amount of time for the entire industry to adjust. I’ll kind of break it down into various subsets. First of all, there were the growers — the people who have forests in Eurasia and India. India initially said flat out that they weren’t going to produce certificates. 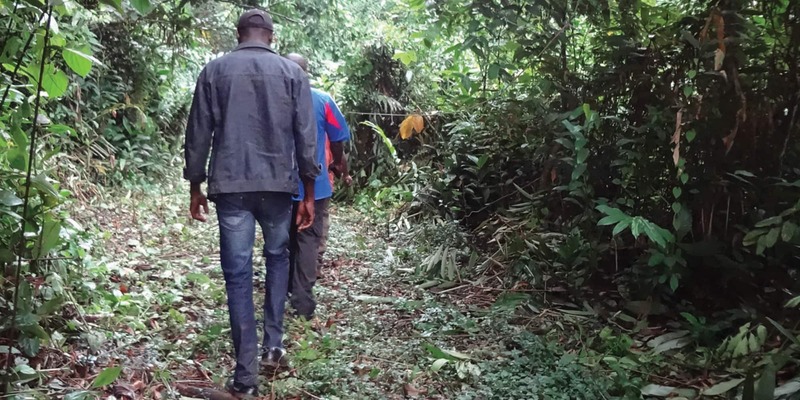 They have since relented, but growers in both countries were slow to get off the blocks in terms of adjusting to the production of documentation. Then, component suppliers were equally slow to adjust. Some of them stumbled quite badly in terms of not getting the documentation right or getting the documentation late. I’d say that now, six months in, we’re kind of over the hump on the supply side, and people have generally adjusted in terms of getting raw wood or component parts. The challenge is now on the import and/or the re–export side. There, each country is interpreting and executing the regulations differently. Here in the US, the import certificates are produced in a timely manner, and you don’t need an export certificate to re–export an instrument from within the US. With anything coming in or going out of the US, it’s business as usual. Europe is a larger issue because they require an import certificate to get instruments into Europe and then an export certificate to ship them outside of the EU. We have a central warehouse in Holland, and it’s taking an extraordinary amount of time for CITES to produce the documentation that allows us to import the product there. They’re saying that we have to allow them four weeks, but we can pack a container in San Bernardino, California, put it on a boat, and it’s in Holland in less than four weeks. This has caused us tremendous problems shipping into Europe and out of Europe to non–EU countries. I’d say we’re getting on top of it now, but it’s adding time, cost, and complexity to the whole supply chain. Are you guys doing anything to adjust for that? On getting into Europe, yes. We’re doing two things, principally, which are just adding time to the process. One is that we now segment anything that goes into our containers from either the US or Southeast Asia into “rosewood” containers and “non–rosewood” containers. Then, the rosewood containers go, literally, onto a slower boat in the port of Los Angeles. The boat goes through the Panama Canal, so we have to slow it down in order for CITES to produce the documents. Do you think that that extra time is going to drive up costs? It is driving up costs. Costs have driven up in multiple places already. We took a price increase on any guitar with rosewood components. 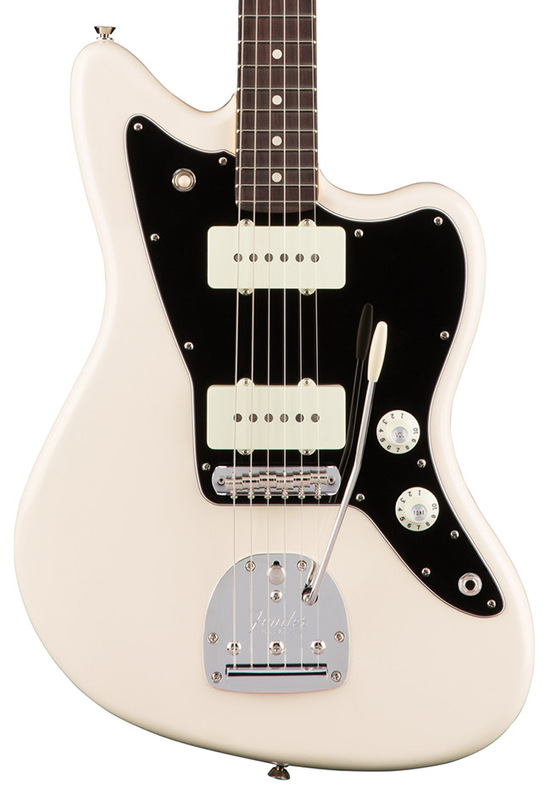 There’s a $50 retail price increase on American–made guitars and a $25 price increase on Ensenada–made guitars. If the time continues to go up, those prices are only going to go up because your costs are going up, right? That’s a pretty significant challenge to overcome over the next few years if this keeps going the way that it’s going. We don’t really see life right now as a glass half empty. Most of us are working in a glass half full mode, in that we’re continuing to gain share in the industry and build our core business." Yeah, I would imagine. We’re fortunate in a way, I think, relative to some of our peers in the industry. We feel that we were pretty well–prepared going in, and if you look at our total revenue by product category, only 50% of our electric guitar revenue comes from products that contain rosewood. For some of our competitors, as much as 80% of their production is in guitars that, either principally or significantly, contain rosewood. I’m sure they’re even more challenged than we are. We don’t really see life right now as a glass half empty. Most of us are working in a glass half full mode, in that we’re continuing to gain share in the industry and build our core business.